I could not resist posting this beautiful bacon blanketed bird from the blog Runaway Spoon. 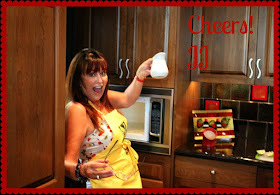 I have never posted any other blog on my page, but, this one is very special and worthy. I believe my readers will love it. He has perfected this technique and with his detailed instructions, I believe you can do it too! This article written by and pictures taken by "The Runaway Spoon". Now we have our beautiful cooked turkey. Remove the bird to carving board (preferably one with a well to collect juices). Allow some time for your guests to ohhh and ahhhh and admire your bird. Then let the designated carver go to work. Pour the juices from the roasting pan into a measuring cup, or one of those neat gravy separators if you have one. Let the juice settle for a bit, skim off the fat, and add the delicious juices to your gravy. For a delicious gravy, pop over to Runaway Spoon gravy! 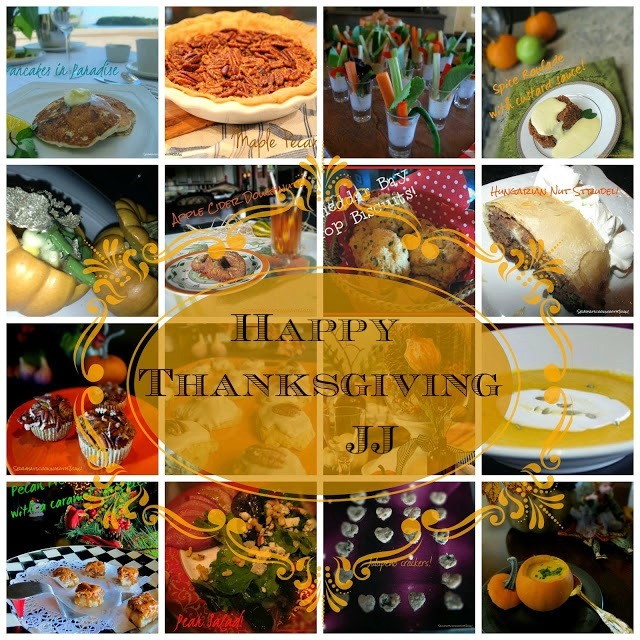 For the above pictured JJ Thanksgiving recipes go to, JJ's Thanksgiving Recipes!